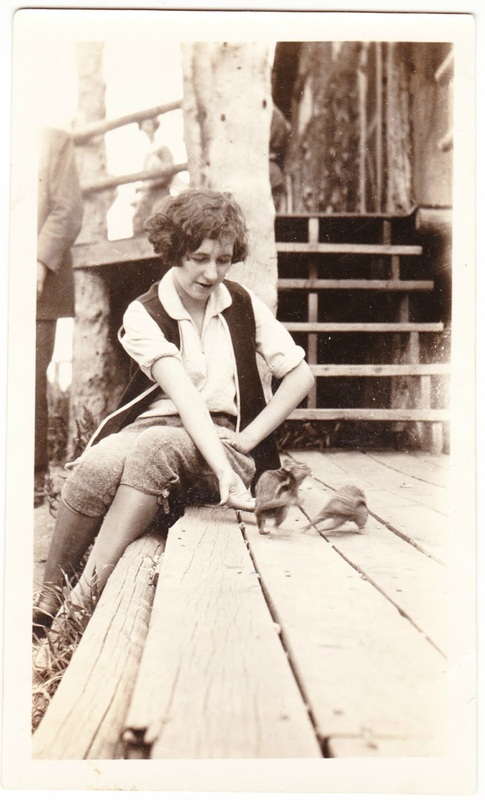 This semi-mystery snapshot features a young woman from nearly a century ago who is dressed like Han Solo and is sitting on a wooden porch, playing with a pair of chipmunks. At least, I think they're chipmunks. The size and markings seem right, and they're definitely not squirrels. The only other possibility I can come up with is that they're chinchillas. Whatever they are, she seems to have them eating out of her hand. The photograph, including the border, measures 2⅝ inches by 4⅜ inches. 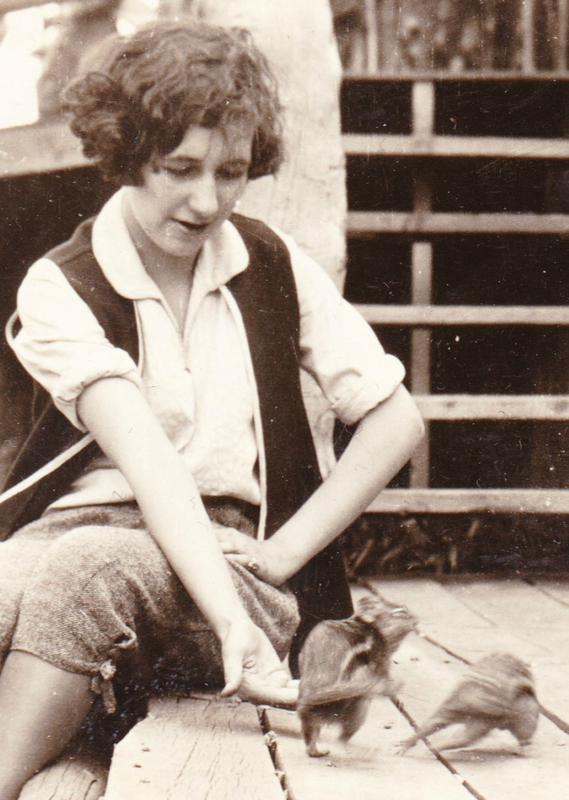 Written on the back is "Dorothy Deemer 1925." Under that, someone has written and twice underlined the number 15. There's also a blue stamp for Graves Studio in Chadron, Nebraska, home of President Gerald Ford's biological father. I can't find much about Deemer, beyond that fact that she landed a job as an English teacher about a decade after this photo.